One day in early November 1862, Susan B. Anthony and her father Daniel were reading and discussing antislavery newspapers when he suddenly began suffering acute pain in his stomach. He suffered greatly and died two weeks later on November 25 at the age of 68 of heart disease. Her authorized biography says that previously he had not been ill for 40 years. For Susan, he had provided inspiration, counsel and consolation, as well as financial aid. 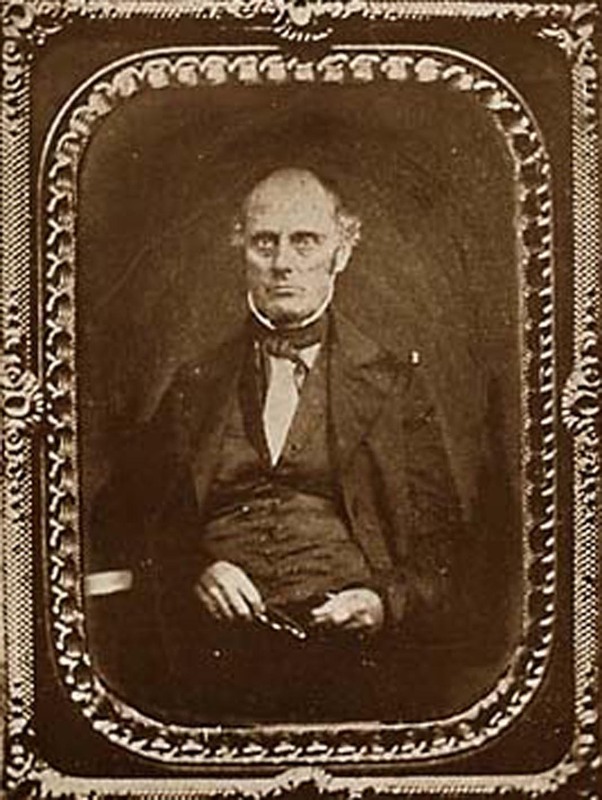 Daniel ran cotton mills, a general store and post office in western Massachusetts and eastern New York State until the country’s financial collapse bankrupted him. Eventually the family moved to Rochester, NY where he took up farming. However, this too proved unprofitable so he went into the insurance business, settling into a building across the street from Frederick Douglass’s publishing office for The North Star. Douglass and a group of Quaker antislavery folk frequently dined at the Anthony home. Through his strong beliefs, Susan B. Anthony’s father inspired her involvement in her three areas of reform work–temperance, abolition, and woman suffrage. After finding a fellow townsman dead drunk (literally) in the snow, Daniel swore off alcohol. While raising his children as Quaker, he protested against a government that waged war and abhorred slavery. He and his wife attended the women’s rights convention in 1848 in Rochester, several years before Susan got involved. Daniel Anthony’s strong convictions found a different expression in his sons. Older son D.R. and his brother Merritt so strongly opposed slavery that Merritt supported John Brown in Kansas. Both brothers joined the Union Army in the Midwest. This entry was posted in Civil War, Daniel Anthony, death and tagged antislavery, Daniel Read Anthony, Frederick Douglass, John Brown, Merritt Anthony, Rochester, Susan B. Anthony, woman suffrage by Jeanne. Bookmark the permalink.